Please visit the History of Sigma Phi Epsilon at SigEp.org to learn more about our great national fraternity. Founded in 1905 at Colorado State University, we were chartered by the Sigma Phi Epsilon national fraternity on Nov. 27th, 1915. SigEp exists to Build Balanced Men. We are a group men who are selfless and committed to improving our community, our university, our fraternity, and ourselves. 121 East Lake Street has been our home since 1935. SigEp has many great traditions, events, and opportunities for members. Members are fortunate to be eligible for great scholarships each year from the SigEp Educational Foundation like the Saylor and Bradford Scholarships. The Chapter works on exciting philanthropies every year that make a difference in the community, like the Holiday Toy Drive and Light Show at our 121 East Lake St Chapter Home. Great social events like Homecoming, Flower Dance, and more give members an opportunity to unwind after a focused week in the classroom. The undergraduate chapter is represented by many Distinguished Alumni and supported with time, advice, and gifts by dedicated volunteers on the Alumni & Volunteer Committee, House Corporation Board of Directors, and the alumni body at large. 121 E Lake St was built in 1929 and Sigma Phi Epsilon purchased it from the Lambda Chi Alpha chapter at Colorado State in 1935. The kitchen and Presidential Suite were added in 1958. "The Tree-Apes were first organized by Aggie student J.E. Leiper who had been about one year away from home influences and was then forty miles from civilization, or in other words in the wilds of Estes Park. Under these conditions this great founder of the Apes was suddenly seized by a wonderful idea and this was expanded into the Royal and Infernal Order of Independent Tree-Apes." By 1911 the Tree Apes had changed our name to Tau Alpha (Alpha Chapter), also a local C.A.C. fraternity. The Tree Apes appeared to envision growing into a new National Fraternity based on the Alpha Chapter designation on our page in the 1916 Silver Spruce Yearbook. 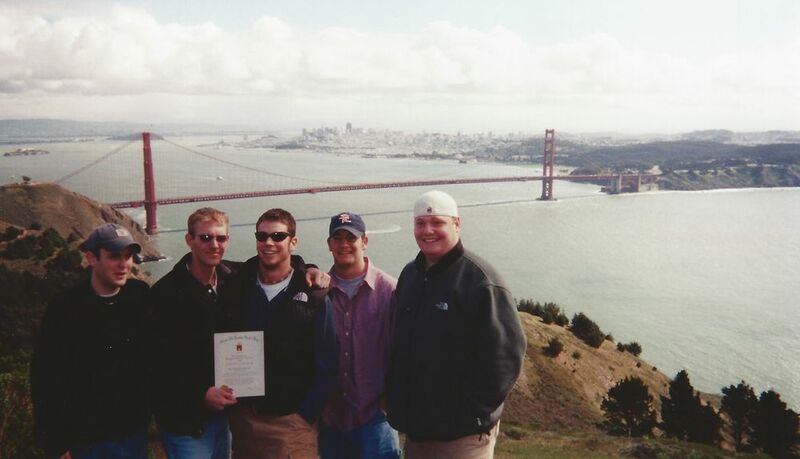 With newly chartered Sigma Phi Epsilon chapters at the University of Colorado and the University of Denver nearby, the men of Tau Alpha soon petitioned Sigma Phi Epsilon National Fraternity Headquarters to become the third SigEp chapter in Colorado. Note: The content deadline for the 1916 Silver Spruce Yearbook passed before Tau Alpha was re-chartered as the Colorado Gamma Chapter of Sigma Phi Epsilon in November, 1915. After a decade of transformation, our fraternity became the Colorado Gamma Chapter of Sigma Phi Epsilon on November 27th, 1915 and we changed our name for the last time. As we approach 100 years as a SigEp chapter and share some information about the great men and great achievements of Co Gamma, we are also proud of our heritage prior to chartering as a Sigma Phi Epsilon Chapter. The High Limb Tree Ape J.E. Leiper first brought a group of men together at CSU in the name of brotherhood in 1905 and set in motion an incredible organization with a rich history. Our Tree Ape brothers recognized the need to formalize the brotherhood and the growth of Greek Letter organizations in Colorado while leading our fraternity through a critical time as we re-named our fraternity Tau Alpha and developed relationships with a growing national fraternity in Sigma Phi Epsilon. The world was a very different place in 1915 when SigEp was chartered at Colorado State University. Below are some interesting facts and notes of what was going on in the world in 1915. After a population boom that began around 1900, the population of Fort Collins reached 8,500 in 1915. Babe Ruth was a standout pitcher for the Boston Red Sox during his second year in the Major Leagues. Ruth hit his first four home runs in 1915 and did not put on a Yankee uniform until 5 years later. Charlie Chaplin was a new motion picture star after his first films in 1914 quickly gained popularity. The RMS Lusitania was torpedoed by a German U-Boat; turning public opinion against Germany and proved to be instrumental in bringing the US into WWI. There were hundreds of local time zones in the United States. The four standard time zones and daylight savings time would not be established for three more years by the Standard Time Act of 1918. Greek Life was officially recognized/installed at Colorado Agricultural College (Colorado State University) in the Fall of 1915. There were a handful of local fraternities that developed prior to 1915 before Greek Life was officially recognized at the college. The Alpha Kappa Epsilon local fraternity was founded in 1903 and chartered as the Sigma Nu National Fraternity Delta Rho Chapter (1915-2000, 2008-present) in the Fall of 1915. The Tau Alpha local fraternity (previously Royal and Infernal Order of Tree Apes) was founded in 1905 and chartered as Sigma Phi Epsilon's Colorado Gamma Chapter (1915-2013) in the Fall of 1915 as well. The Gamma Phi Beta National Sorority was the third Greek chapter chartered (previously the Tau Kappa Sigma local sorority) in 1915. 1 Colorado State University Silver Spruce Yearbook, 1933. Installation of Aggie Greeks. pg 294. Special Thanks to Pat Walker, Fort Collins Museum Research Assistant, for her invaluable assistance in fully documenting the history of our fraternity!